You are here: Home / General / The Scotiabank Charity Challenge is back! On April 21 and 22, 2018, the Scotiabank Charity Challenge will take place in Montreal. Spread over two days, the event offers different types of race: 5k, 10k and 21k, as well as a race for children aged 2 to 13 years old. 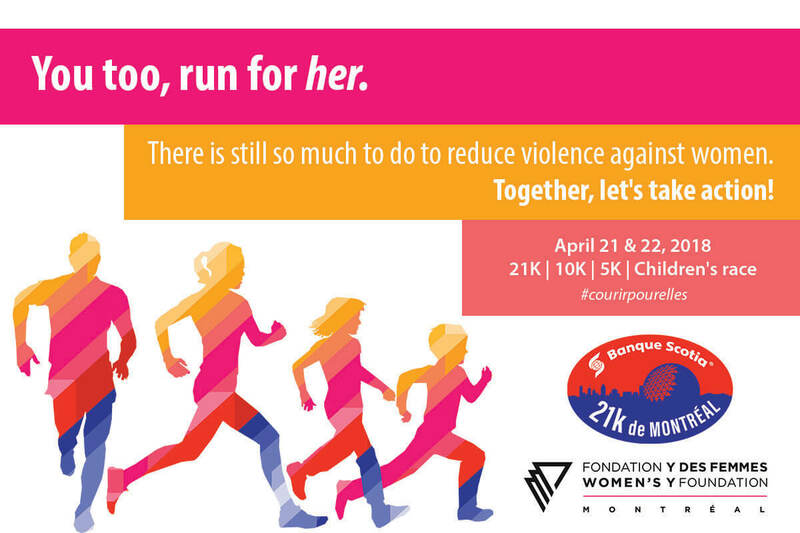 Since 2010, the YWCA Montreal and its Foundation has been participating in this unifying event. Every dollar raised and every step taken towards the finish line can make a difference in the life of a woman or a girl. Run for your mother, run for your daughter, run for your friend … run for a woman who is dear to you! You can register up to 4 participants per form. The Foundation will contact the person registered as Participant #1 to pay the registration fees of all participants registered on the same form. The Women's Y Foundation will contact the person indicated as Participant # 1 to pay the registration fee.